Mighty Fine Burgers, Fries & Shakes is home of the best burgers in town, with a classic burger-joint menu featuring only the finest premium ingredients. Quality is everything for this hamburger concept. From the Texas-style burgers sourced from certified small ranchers who breed only vegetarian-fed cows, to vine-ripened tomatoes and fresh-as-can-be produce, to the purest trans-fat-free peanut oil used for frying the hand-cut crinkle fries and onion rings, to the rich, hand-dipped milkshakes and fresh-squeezed lemonades, Mighty Fine sets a high standard of excellence and prides itself on providing guests with only the finest ingredients. 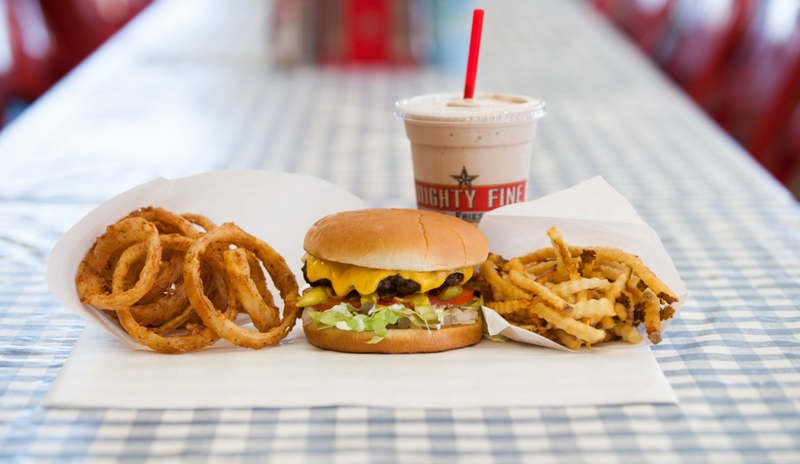 Mighty Fine Burgers, Fries & Shakes has five Central Texas locations, and also offers online ordering.